The announcement of the SC Railing name change to Trex Commercial Products generated coverage on LBMJournal.com. Trex decking was featured in a Green Builder article about the challenges involved with recycling plastics. 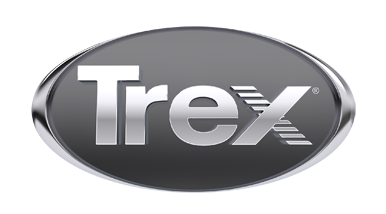 Trex is highly praised for its success in recycling a variety of plastic products to produce its composite decking. Trex Transcend® railing was featured on the home improvement blog, Ask the Builder. In this post, building expert Tim Carter details his personal and positive experience with installing Transcend railing and provides installation tips to his readers. Online magazine, The Spruce, wrote about Trex decking in a round-up called “Decking Brands You Need to Know.” The article touts Trex as an alternative to wood decking and gives facts about its environmental benefits. It’s easy being green. Just ask students in Sussex County, NJ. Their participation in the Trex Plastic Film Recycling Challenge was featured online in an article by The New Jersey Herald. Trex decking and Trex railing were featured in the October issue of Remodeling as winners in the publication’s annual Brand Use Study. The Miami Herald promoted the Trex Plastic Film Recycling Challenge both in print and online. The Trex® Outdoor Furniture™ Cape Cod collection and Trex Elevations® were featured in Deck Specialist magazine in a story about a deck build on Lake Minnetonka. Money Pit wrote a blog post about Trex® Landscape Lighting™ and all of the benefits that it can provide your backyard, especially as summer comes to an end. Trex Transcend® decking was featured in Builder & Developer magazine and described as natural-looking, ageless and a product that can help you seamlessly create the deckscape of your dreams. Trex decking was featured in the September issue of Men’s Health issue as long-lasting and high-performance decking that will ensure you can spend time enjoying your deck instead of maintaining it. Trex was highlighted in Green Builder Magazine's 2017 Readers’ Choice Awards as the top overall decking brand and greenest decking brand.